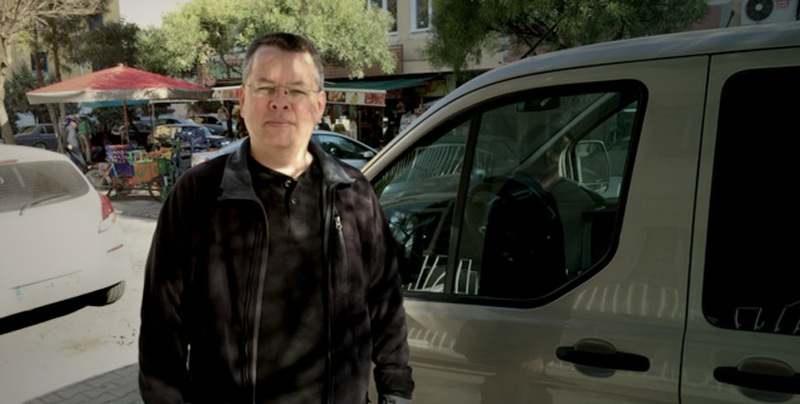 Today the appeal of American Pastor Andrew Brunson – a U.S. citizen who is currently imprisoned in Turkey because of his Christian faith – was denied. Pastor Andrew, who was held for over two months without charges, has been imprisoned in Turkey since December 9th. He faces a serious, yet completely unfounded, charge – “membership in an armed terrorist organization.” In fact, the charging documents do not present any evidence against him. Pastor Andrew appealed his imprisonment, and was denied. Another appeal to a higher court is allowed, but it is uncertain how that appeal process will go. Previously, Pastor Andrew was denied access to his Turkish attorney. Now, he is allowed visits with his Turkish attorney—however, due to an emergency decree in Turkey, those visits are recorded and any notes taken by his attorney are copied. Thus, Pastor Andrew has no attorney-client privilege. Yesterday, Pastor Andrew was allowed a visit with family. During that visit, Pastor Andrew indicated that, while he had been previously denied a Bible, he is now allowed to have a New Testament. Pastor Andrew also has a visit with U.S. Embassy Officials scheduled for tomorrow. Although Pastor Andrew has finally been allowed a family visit and some access to his attorney, he is still wrongfully imprisoned and the charge he faces is serious. Pastor Andrew must be released. We are continuing our diplomatic efforts to engage the incoming U.S. administration, and moving forward with an appeal of his case. Pastor Andrew needs your support – take action and make your voice heard in this matter by signing our petition.